One of America's best Christian repertory groups tells how you too can have a first-class drama troupe. 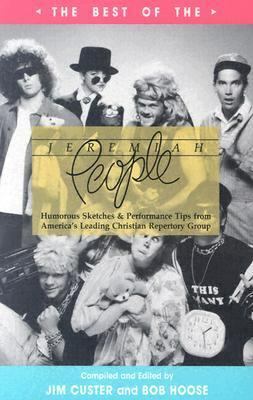 The popular Jeremiah People group has successfully used drama to impart Christian truths to audiences nationwide for over twenty years. This book outlines their expertise on topics such as theatre games, rehearsals, organization (sample forms included), blocking, and lighting and sound on a budget. Includes both old and new "audience-tested" sketches from many on-the-road performances -- all in the group's trademark style: warm and forgiving satire with a "stinger" at the end. Each sketch includes basic information on the theme, scene, characters, staging, props and lighting. Performance rights and permission to reproduce sketches are included with the purchase of the book.Custer, Jim is the author of 'Best of the Jeremiah People', published 1991 under ISBN 9780916260811 and ISBN 091626081X.